Neglected tropical diseases affect the world’s poorest, most marginalized and most remote communities. NTDs are a consequence and cause of poverty as they thrive where access to clean water, sanitation and healthcare is limited. Their impact on individuals and communities can be devastating. Many of them cause severe disfigurement and disability. They impact on life expectancy, education and economic opportunities of affected individuals and the communities they live in. 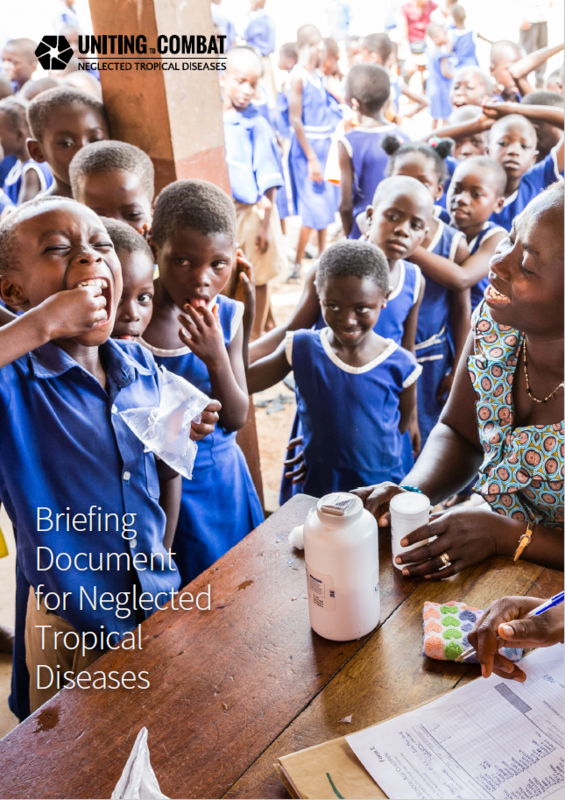 Find out more in our briefing document for neglected tropical diseases. Why focus on ten neglected tropical diseases? Of the many NTDs, the World Health Organization (WHO) selected 17 which have transmission characteristics or treatment possibilities that make them very good candidates to be effectively controlled and, in many cases, eliminated. An outline of targets to be achieved by 2020 were presented in the WHO’s Accelerating Work to Overcome the Global Impact of Neglected Tropical Diseases: A Roadmap for Implementation. That document, commonly referred to as the ‘WHO roadmap’, has acted as a call to arms to the international community and initiated global discussions on how best to support WHO, and endemic countries, to achieve these goals. When industry joined the collaborative discussions alongside donors, and major implementing agencies, they created the critical mass necessary through their pledges to provide some of the essential drugs used to combat many of these diseases. During the discussion that took place in London in January 2012, although participants felt that all NTDs should eventually be addressed, it was resolved that 10 of the 17 NTDs had the essential ingredients for immediate targeted assistance.